Are you ready for the third party exam to get your Lead Inspector/Risk Assessor license? This Lead Inspector/Risk Assessor State Exam Prep class provides a review of the HUD Guidelines, necessary HUD chapters, and includes the study of other pertinent regulations: DPH Title 17, Title 8 CCR 1532.1 and SB460 so you are ready for the state exam. The final 90 minutes is devoted to a Mock State Exam with questions paralleling those from past State Exams. Attendance at this event will enhance your chances of passing the State of California Lead Inspector/Risk Assessor Exam. 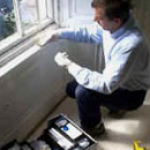 Your Lead Inspector/Risk Assessor questions are answered!